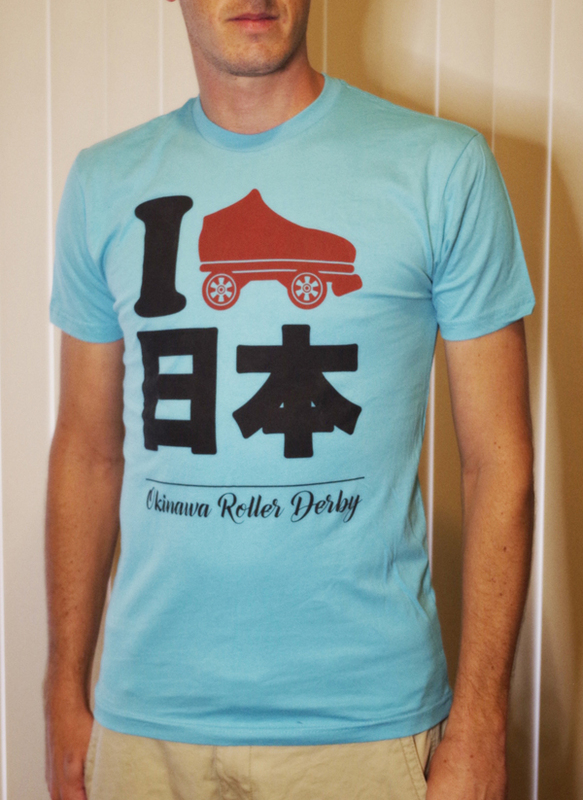 I [skate] Japan graphic is printed onto the front of this super-soft tee. Tri-blend fabric drapes nicely on both men and women. *Some tees may have "Japan" written in English instead. Next Level's Tahiti Blue Tri-Blend Crew Tee is 50% polyester, 25% ring-spun cotton, 25% rayon. Model is 6'1" and 165 lbs. He is wearing a size medium.